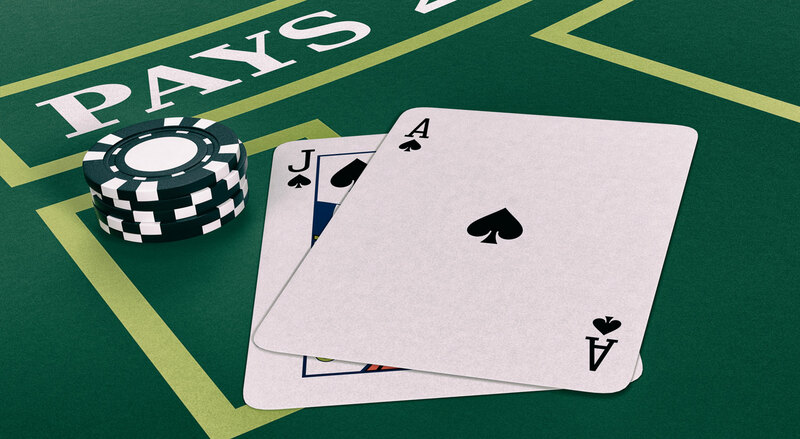 By following these simple playing tips, you can play Blackjack like a pro — and at the same time, avoid those disapproving glares from the other players at the table when you take a hit you shouldn’t or stay when you should have hit! Dealer must “hit” 16 or under and “Stay” on 17 or above. There are more cards in the deck that equal 10 than any other denomination, therefore it is “usually” safe to assume the dealers down card is 10 (ten). Player should “stay” on his hand with a 12 or more. The reason for this is: you know that whatever the dealers “down” card is, they have to take another card (or hit) and you want them to bust for your win. You should let the dealer risk busting instead of yourself. You should “double down” with a 10 or 11 — and just hit with anything less — stop hitting after you reach 12 or more, as again, you don’t want to risk busting — let the dealer take the risk. Player should “stay” on his hand with a 17 or above and “hit” anything less till it reaches 17 or above. Again, assuming the dealer’s down card is a 10, if you stay less than 17 you will likely lode the hand anyway, so now’s the time to gamble. If you bust, oh well, you can try and improve your hand, right? If dealer’s up card is 7 or more, just hit your hand until you reach 17 or more. Side note: some experts claim you should double down with an 11 no matter what the dealer’s up card is — in this case, it’s perfectly acceptable to take a chance, or not. These 4 simple tips will assure you optimum play, however it’s OK to just go with your “gut” sometimes and take a chance when perhaps the “book” says not to. Above all — just have fun!